← BMG’s ARE ROCKIN’ IT! 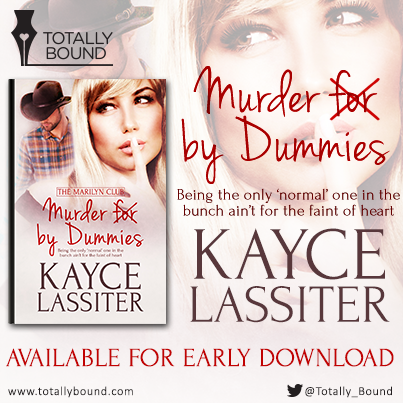 Murder by Dummies has had an outstanding week! First, it won the Gorgeous Gals category of the Affaire de Coeur Cover Art Contest, and today it is on the Bestsellers list at Totally Bound. Yeah!!! It don’t get no better than that!!! If you’d like to read an excerpt before you buy, click here and check it out. Hugs!